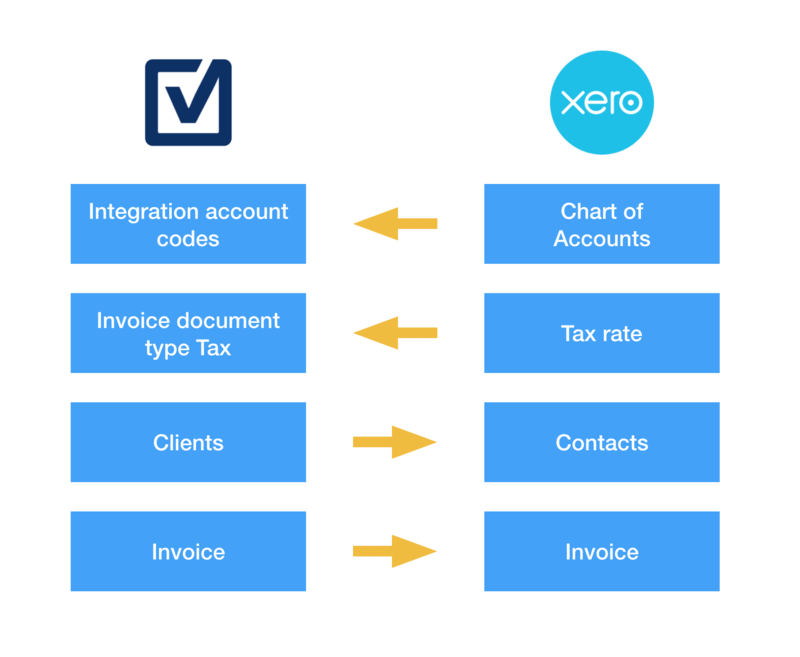 This integration enables you to send invoices from Productive to your Xero account. Which data is mapped between the platforms? 1. Which data is mapped between the platforms? 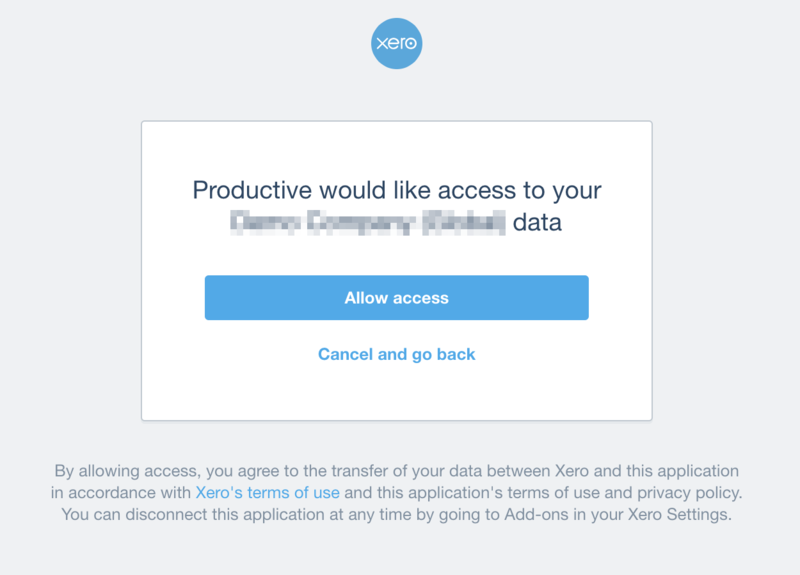 A new window will open, asking your permission to connect to Xero. At this stage, you need to choose the default account code to complete the integration process. Click Save after you have chosen your default account. 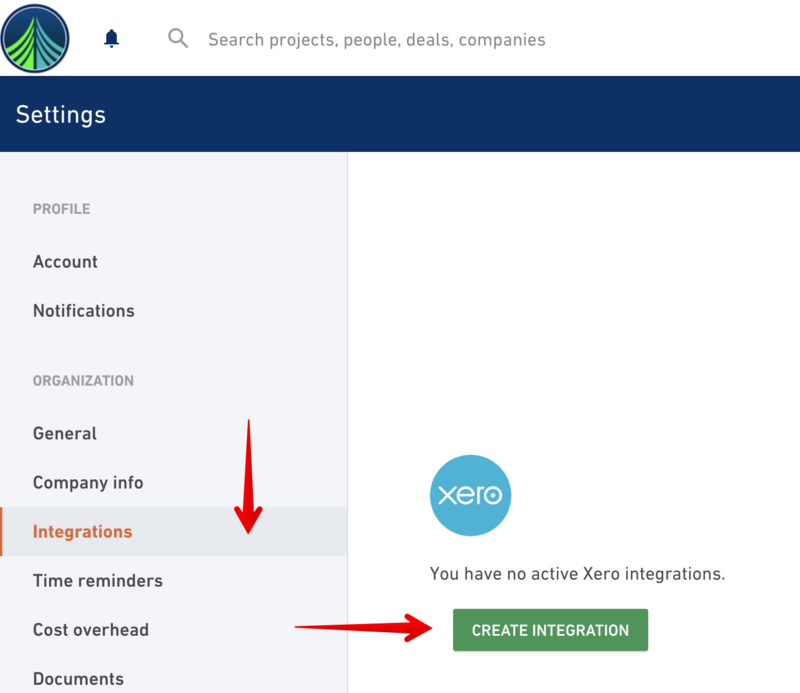 Your Productive account is now linked to Xero. 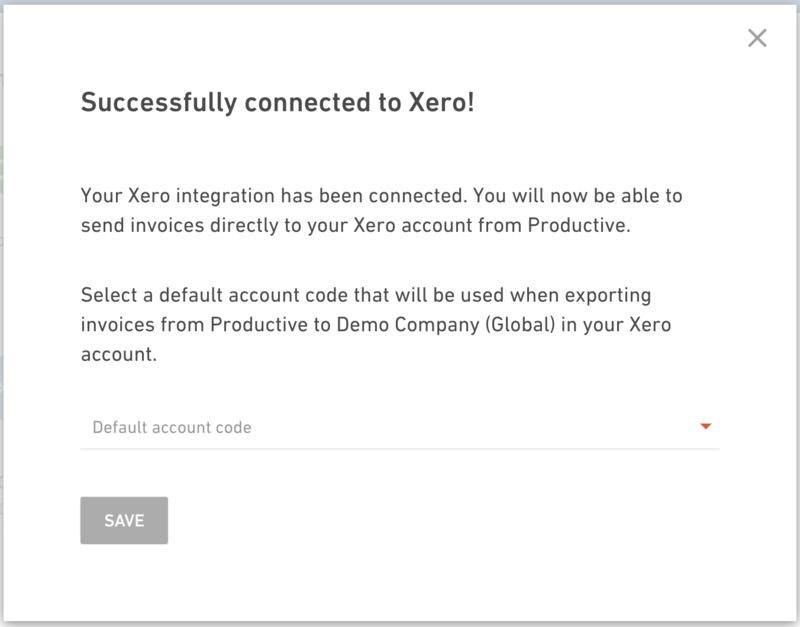 Upon successfully integrating your Xero account with Productive, a new button will appear on your Productive invoices. 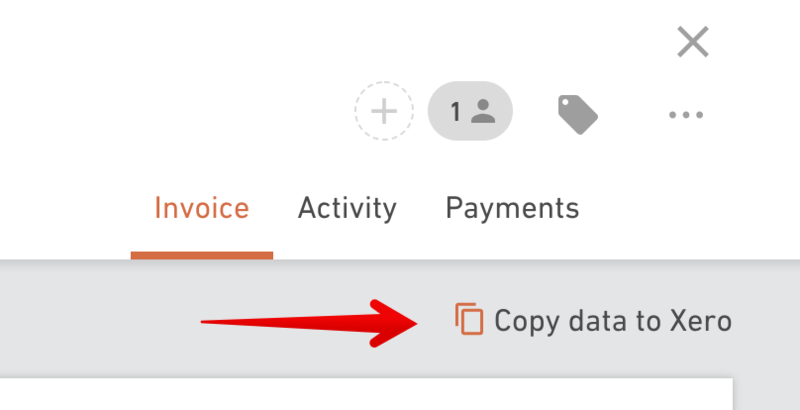 Clicking this button will start the process of sending the Invoice to Xero. 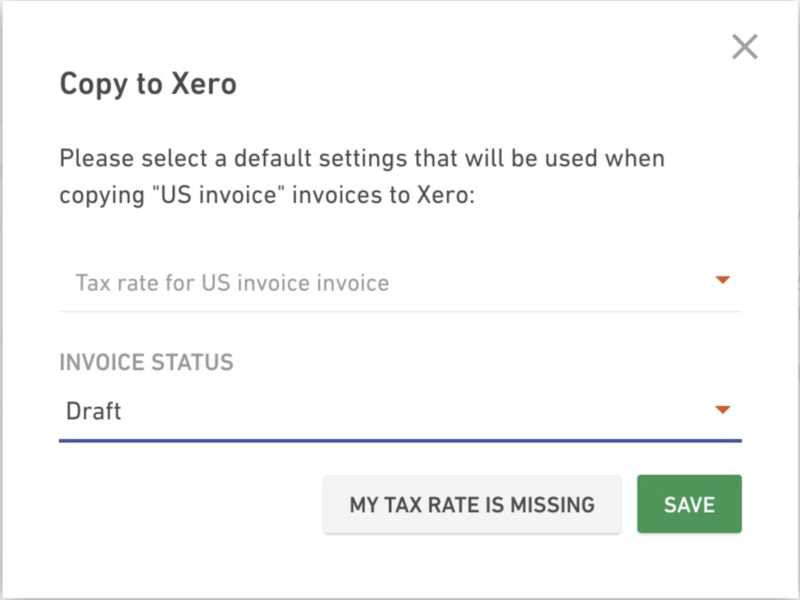 Select your tax rate for this current invoice, as well as the desired status of the invoice when it gets copied into Xero. Click Save. 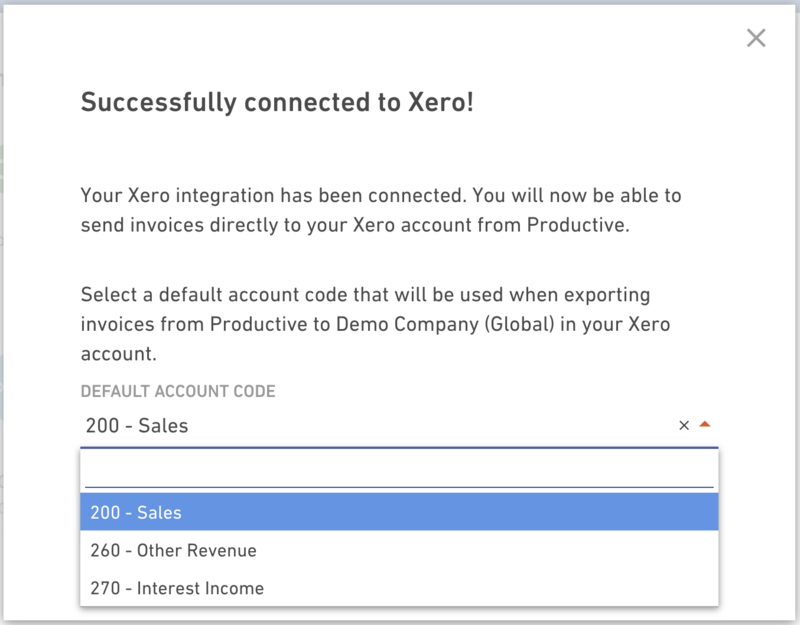 If your tax rate is in order, your Invoice will be sent to Xero, and a PDF copy of that invoice will be downloadable in Productive. Please double check that everything has been set up correctly to ensure you don't encounter these issues. Have any other questions? Please take a look at the FAQ or feel free to start a chat conversation if you have any other questions too.